Of course, you can buy latkes at stores during this time of year, but nothing compares to making them yourself! They taste so much better, straight out of the frying pan. They’re fresh and sizzling and hot. When you buy latkes, you have to reheat them at home, and they just don’t taste the same. 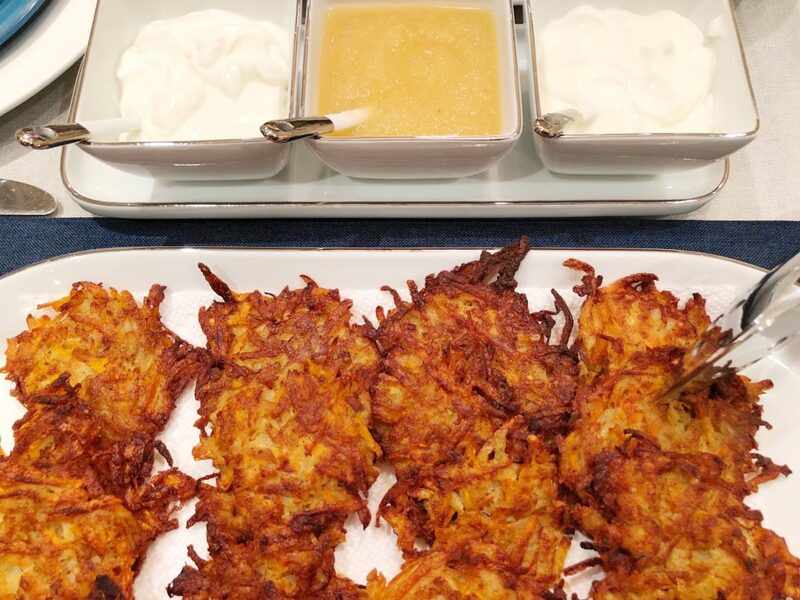 So, how do you make these golden, scrumptious potato latkes? There are many recipes out there and all involve grated potatoes, eggs, flour, salt, and pepper. 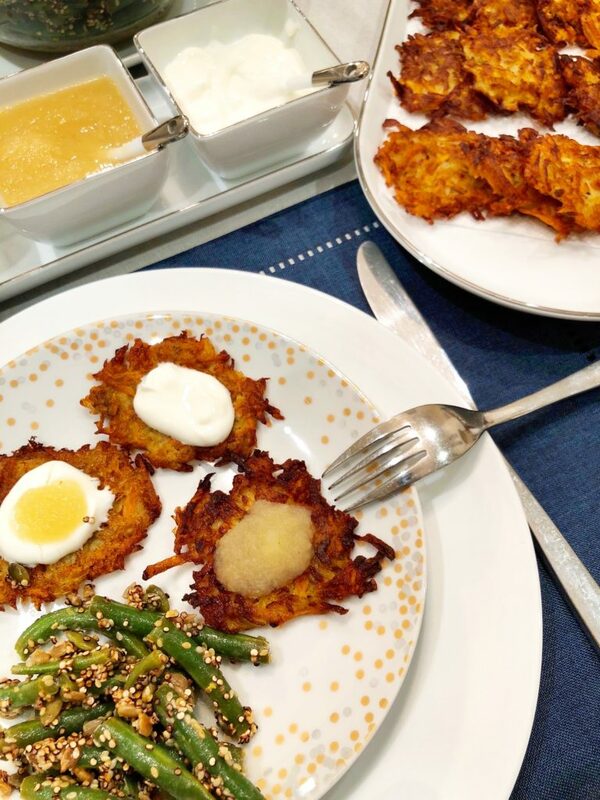 It’s a time-consuming process to make latkes at home, but it is so worth it, in my opinion! The house stinks for a few days, but my family always accepts this fact because of how good homemade latkes are. Every time I make them, I’m always glad that I do. I make my latkes with the usual ingredients, but I add in a sweet potato, a carrot, and an onion. One year, my friend came by to pick up her daughter after one of our casual latke parties and went home to make latkes with added grated zucchini. She said her family loved them! There is definitely room to be creative with this recipe. After all, you’re going to be frying the latke in hot oil – what food doesn’t taste good when fried? Add the dry ingredients and the eggs. Mix well. 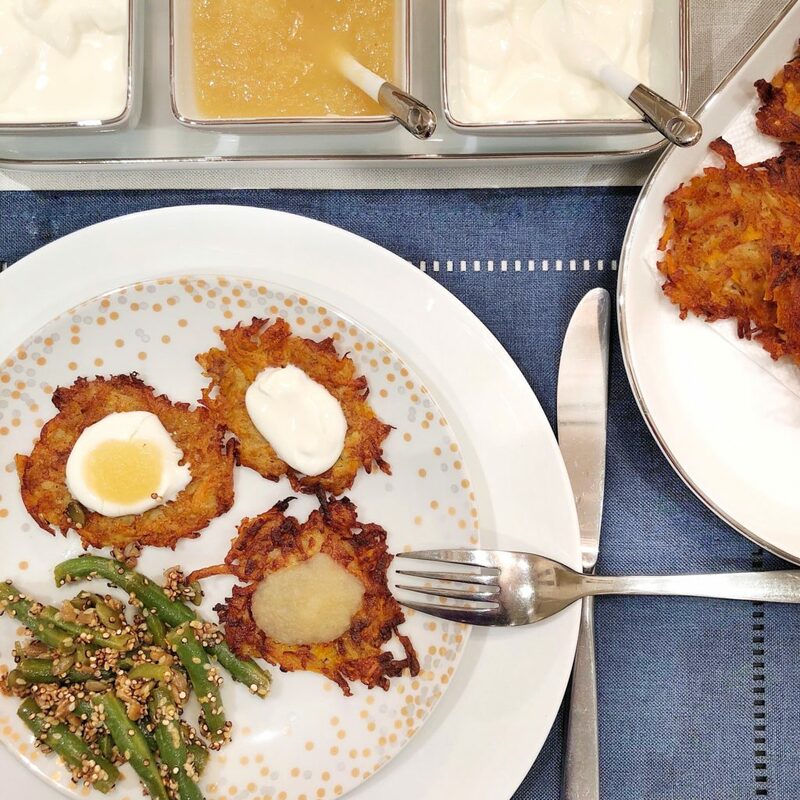 Do you make latkes at home? I’d love to hear your recipe variations! < Previous Get Your Kitchen Christmas-Ready With These 7 Festive Pieces! I like to make some with purple potatoes because my daughter loves having purple latkes. I also make mine without flour because my wife is gluten free. They don’t bind as well. I like your time recommendation. Mine came out a bit too crunchy this year. I waited a bit too long to turn them. There is more carryover cooking than I expected. Ooh, using purple potatoes sounds so yummy and colorful! Could you use GF flour? 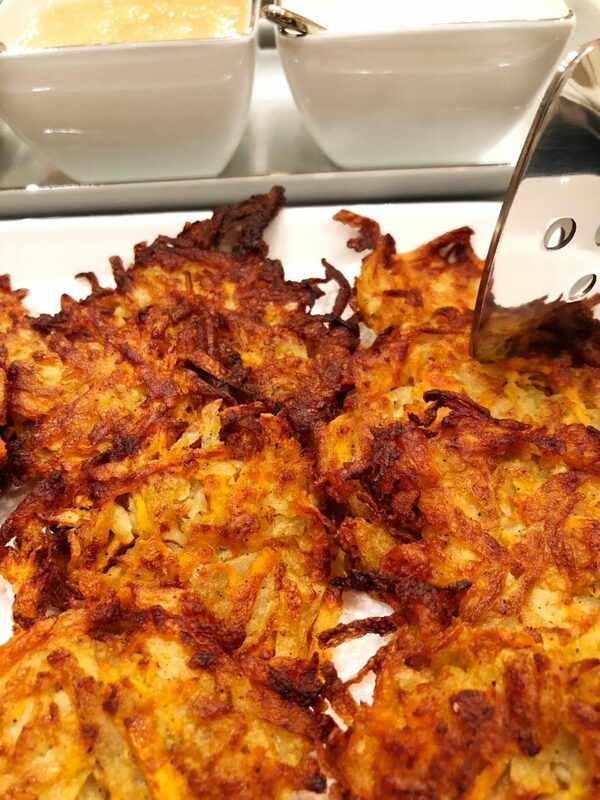 I’m sure yours were delicious – the thing about latkes is you have to watch them carefully. There is definitely a carryover cooking time!